Users are part of Accounts and are important because they represent Authorized individuals who can log in and utilize Inteliguide in whatever capacity their Role allows. Before diving in, don't forget to check out Basic List Navigation in Tips & Tricks. Note: Admins can access Users by clicking on the Manage menu drop down. Clicking on the List Item link will take you to the User Details. Check out Contacts vs Contact Methods. Reset Avail, will revoke whatever Availability is currently set and will have the User set it on their next Login. See directly above for a readout of all the drop downs but Update Reminder. 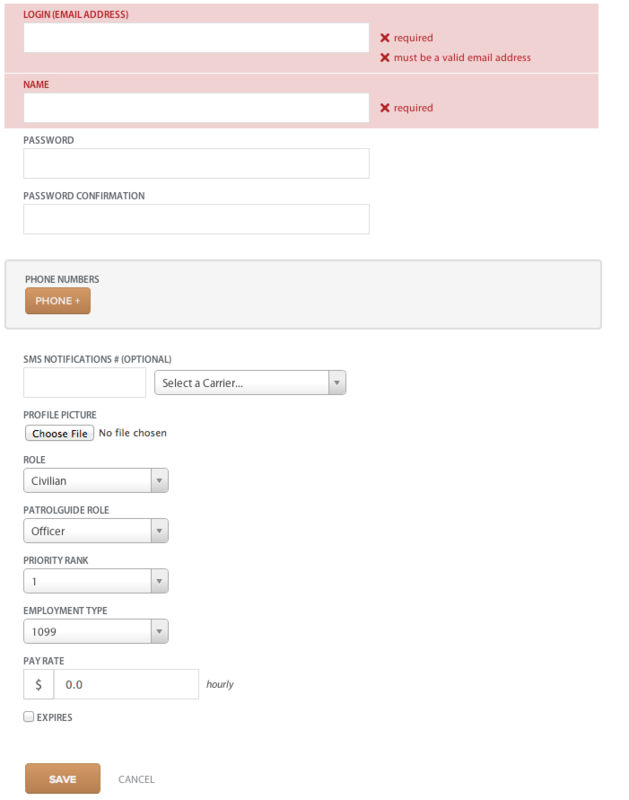 This form makes setting Availabilities extremely simple compared to Legacy Inteliguide. Now, you can set a Time Range (End Times that come before Start Times are assumed to belong to the next day), and then select all the Days that Time Range applies to! Typically, there might be a couple lines that most users might require, but you can have as many Availabilities as you need. See the weekend followed by weekday Availabilities. This could be the same as your mobile number entered into Phone Numbers, but we wanted to allow Users to set their Carrier. This will allow SMS notifications and messages to be sent out for those Users who are opted in. Committing to Shifts will trigger SMS notification reminders. This image can be cropped during the Add or Edit process. All Users but Clients can be considered to be Employees of the Franchise, their hourly rate can be entered here. This value is NOT what gets calculated on the Payroll Report. The Payroll Report is informed by the final Pay Rate as determined on a Shift-by-Shift basis. The Shift is informed via the User Pay Rate in most cases. You can think of this value as similar to Shift Default settings. 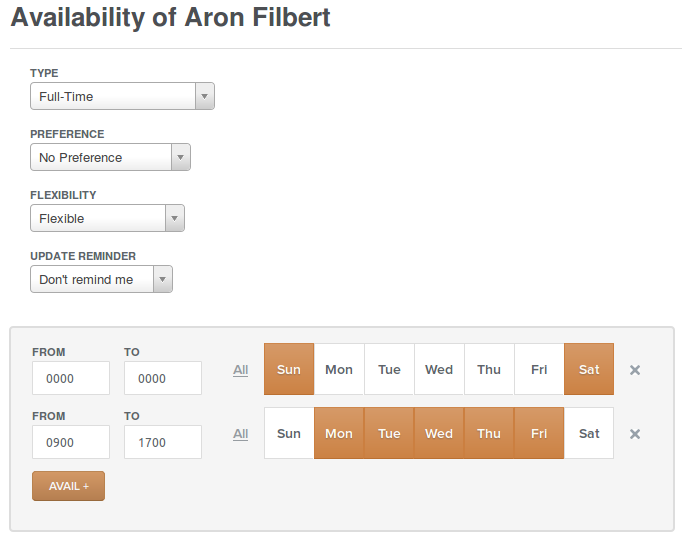 You can set expiration dates for the more temporary Inteliguide Users. 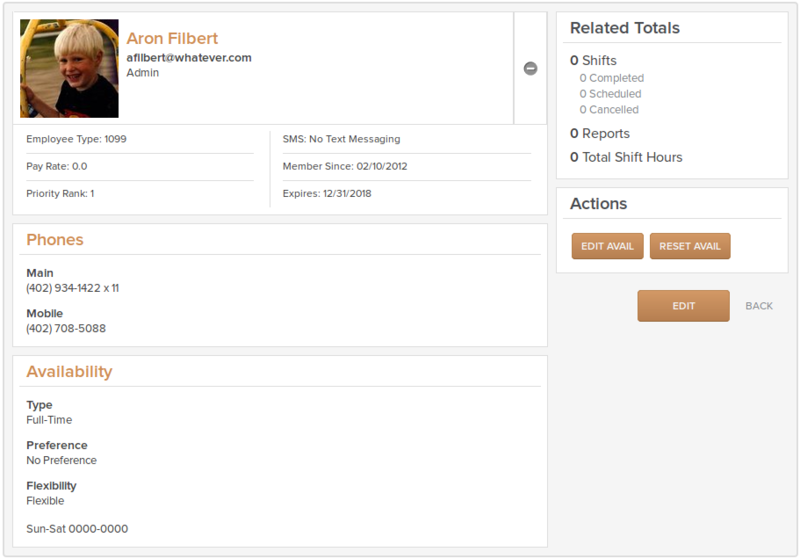 Setting the Role drop down to Client will reduce Internal Attributes and present to you an Opt Out checkbox that if checked will exclude that User from automatically generated email reports in Client Reports Bulk Email Action. Additionally, if you select Client as the Role while Adding/Editing a User, you can now assign that Client to one or many Active Locations. Note: The Client Opt Out is useful for top level Client management that might want access to the Inteliguide Client Reports for their Locations, but who don't want to be bombarded with constant email updates. 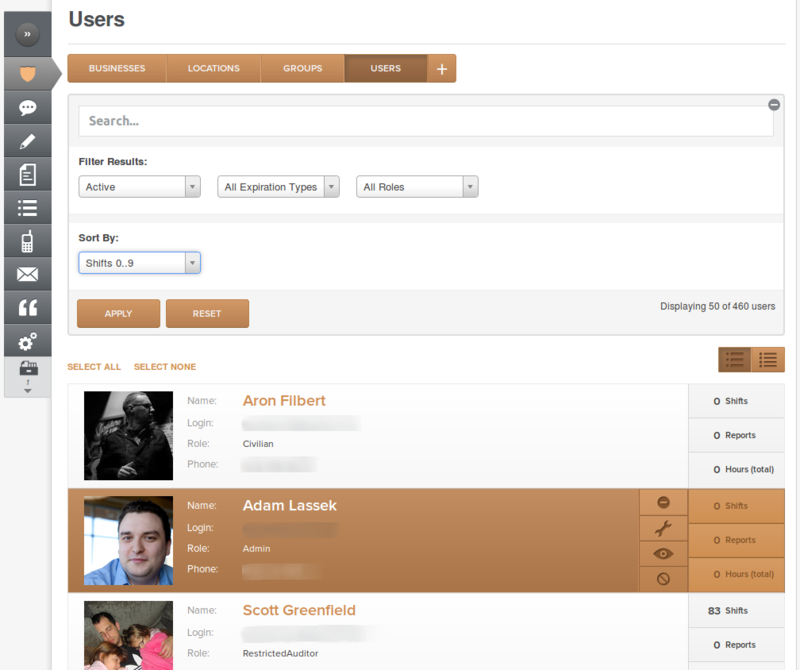 Take a look at Roles for more info on how they apply to Users.